One of the greatest heavyweights of all time is in the hunt for one last shot at the Heavyweight Championship, but he needs your help to get there! 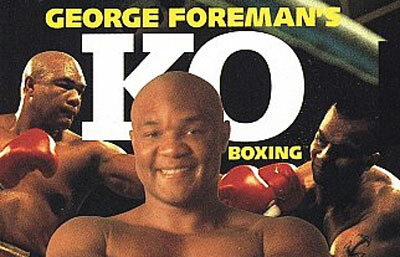 In GEORGE FOREMAN'S KO BOXING, you play as Foreman himself as you lead him through the ranks to another shot at the title. Before you get your chance at becoming the champion, you'll have to survive 15 brutal bouts against some of the most talented boxers in the division. Keep an eye on the portraits of you and your opponent, which will physically change as the fight progresses, giving you an indication of each fighter's energy level. Bob and weave as you wait for your opening, and then deliver a knockout blow that will send your opponent reeling. If you can beat the defending champion, you'll help George fulfill his dream of being the Heavyweight Champion of the World again!